A Car So Great I Got It Again! If I had told my 15 year old self that I would in my 30's admit to loving a Skoda I would have laughed in your face..... very very loud. Those of similar age to me will remember the jokes about Skoda when we were kids, so in 2015 I found it hard to believe that I was standing in a Skoda showroom in Harlow seriously questioning my sanity as I was about to commit to a 3 year lease deal on a new Skoda Octavia and say good by to my C Class Mercedes. This is the picture I took that day in the show room and I don't know about you but it is clear to see why I went for it! 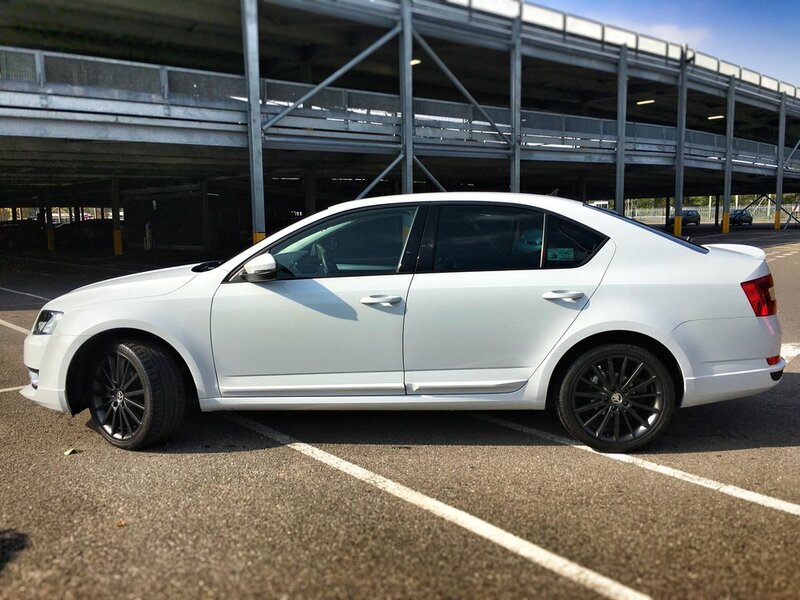 Now this car looked faster than it was, it was a 1.6TDI but a special edition and to the majority of people it looked very much like an Octavia VRS. Unlike my previous car the Mercedes C Class, the Octavia had abundance of space for everything we wanted to do! As I drive for work It was my first automatic, with a 7 speed gear box it was a dream and I could never go back to a manual now! The Black Edition had been all over the country, from Cornwall right up to the North East of England and everywhere in between. 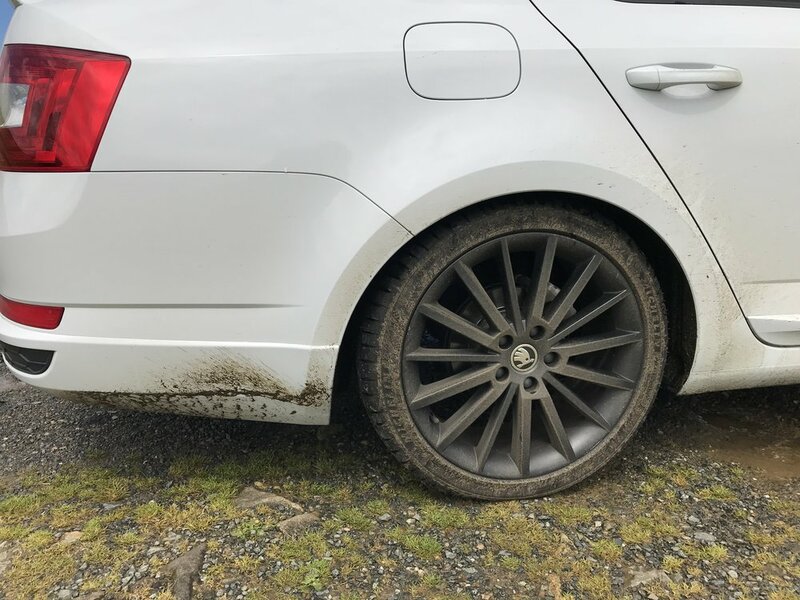 The reliability of this car was unbelievable and taking a tyres and maintenance contract meant it was no hassle at all to run! If anything the only downside was the size of the full tank. This is the car parked up on the beach at Nolton Haven in Pembrokeshire. 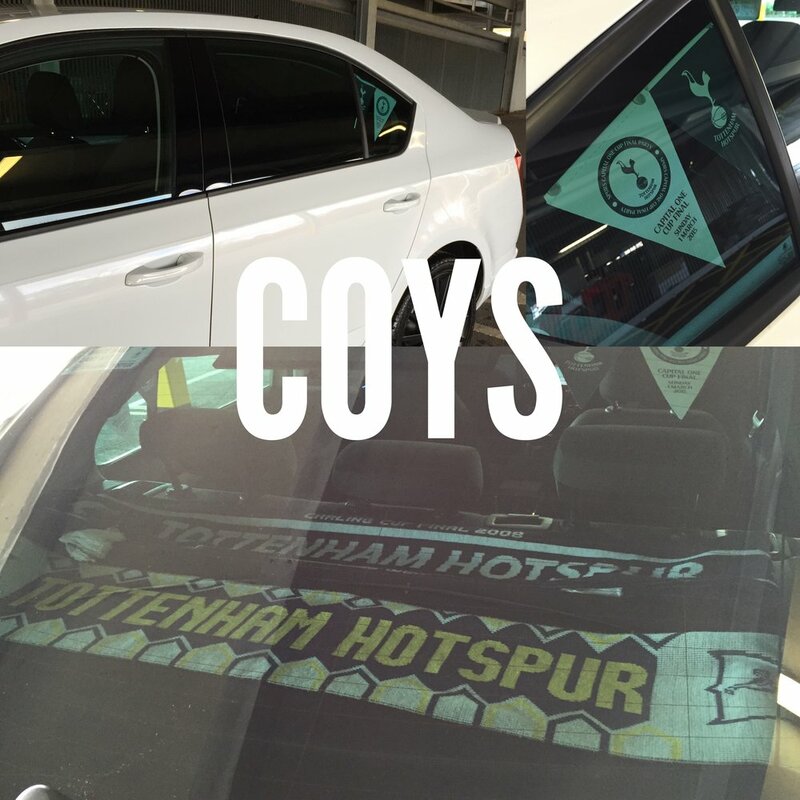 A trip to Wembley in the Skoda Octavia with a few Spurs decorations to go with it! This car boot is amazing! This is us packed up with our 6 man tent, beds and ready to go with enough space for 3 peoples luggage! 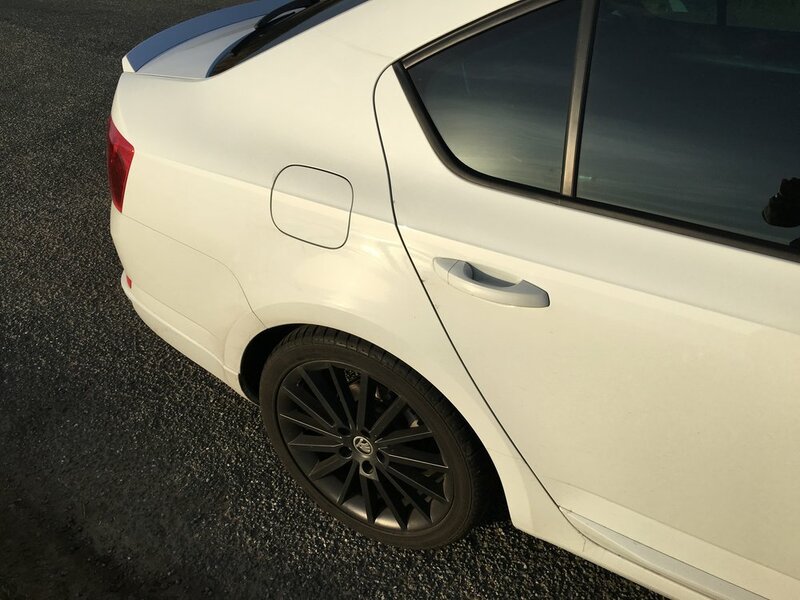 The contrast between the dark alloys and the moon white metallic pain job was amazing! Although this wasn't always clean!! I have yet to be beaten by an Ikea run in this... Just look how much you can fit in! It also helps with the gardening! It also helps when doing the gardening as there is loads of space for the dump run! I enjoyed this car so much that when time came to look at a new car I struggled to justify looking elsewhere! I thought what would I want......... Well something with a little more power would be good, also wanted to move away from white, it needed to have as much space as my current Skoda Octavia, I am not sure I could go back to a car with a smaller boot! Then there was creature comforts and heated seats I would love for those early morning starts and cold walks back to the car after football! I had a look around, at the Focus, C Class again, Seat Leon (although the daughter has ordered one of those now so that was out the window) plus a few others, then it seemed pointless looking elsewhere! 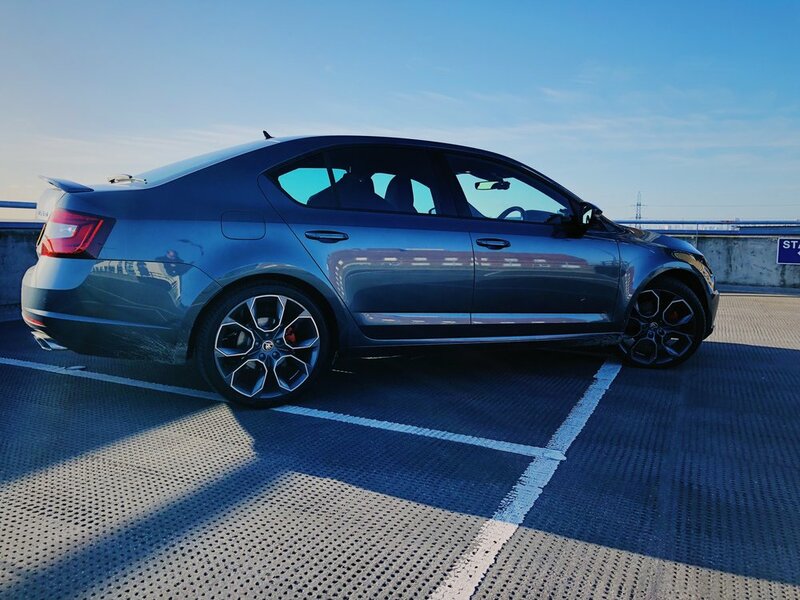 The Skoda Octavia VRS had everything I wanted, affordable price and I knew it already had all the space I needed! This is the first time ever in my driving history that I have ever opted to go for the same car again and I think this is testament to how good this car is and the impact it had on me! So two weeks after first speaking to the salesman at my local dealership and finding a car that was already in the country with a few added extras I wanted the car was ordered and ready to collect! Here is the new beast! Considering I did 70,000 miles in my first Skoda Octavia, I am very much looking forward to clocking up the miles in the new one, with heated seats this time and Apple CarPlay built in, an upgraded Sat Nav with larger screen and Canton sound system! Here are some pics of the car.... I will let you know how I get on!